Peter met Adriana in high school, both in their early teens, he first showed his fondness towards Adriana in not so subtle ways. He would put thumb tacks on her chair during class and play other little pranks. "Teenage boys have a funny way of showing affection" Adriana says. This went on for a little while before Peter finally decided to ask Adriana out on a date. Peter met with jewellery designer Cassandra Mamone for the design and make of the perfect engagement ring for Adriana. Peter had given a lot of thought so that he would ask that special question with a very special ring that Adriana would love. Peter opted for a beautiful 1.01 carat round brilliant diamond. Peter discussed with Cassandra that he liked halo styles, so Cassandra designed a double row of pave` set diamonds around the four claw set 1.01 carat diamond stunner. The brilliant diamonds were pave` set on a rounded edge, to create an eye catching effect, the diamonds sparkle at every movement and turn of the finger. 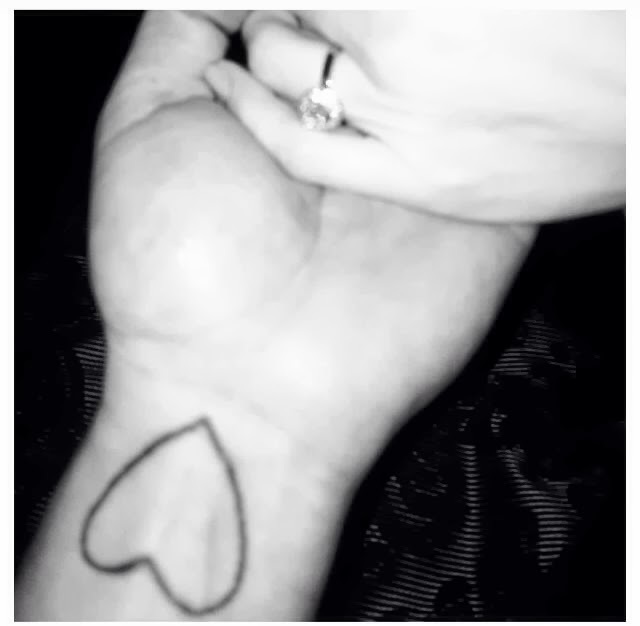 The engagement ring was made in platinum. 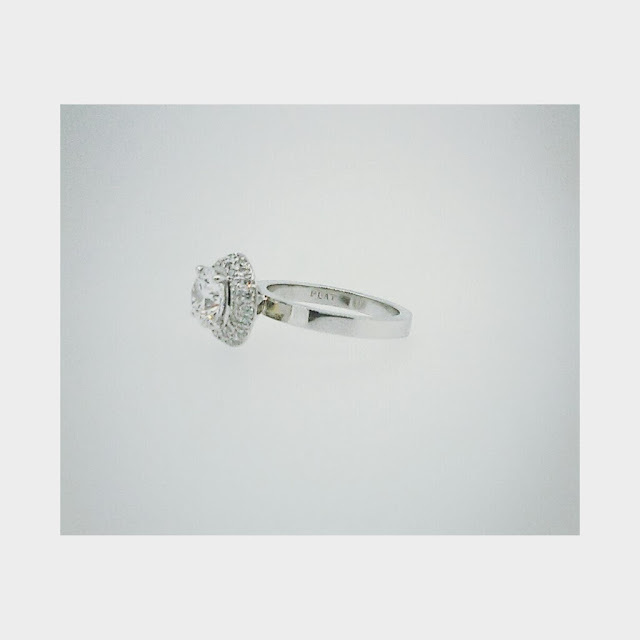 1.01 carat round brilliant cut diamond in a four claw setting with surrounding double row pave` set diamonds on a platinum band. On July 19th 2013 Adriana went out to the movies with friends. She arrived home to find that the dining room table had been converted into a cubby house. "Strange I thought, though not really unusual when it comes to living with Pete" Adriana recalls. “Will you make me the luckiest man on earth and share your life with me. Adriana... Will you marry me?" Peter showed the ring to a very shocked Adriana and it all became very real. The handsome Peter and breathtaking Adriana at their engagement party. What a perfect match! The couple have been busy planning their perfect wedding day. 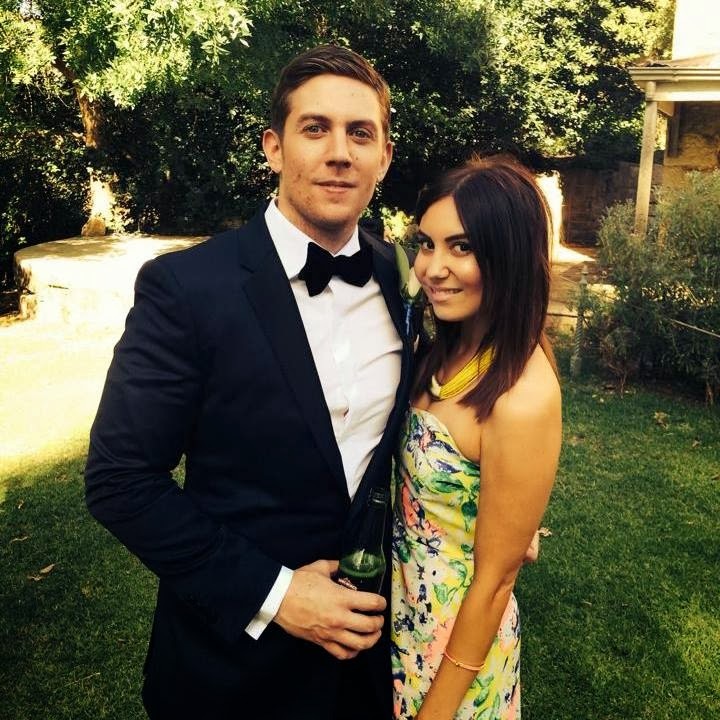 Peter and Adriana's marriage will take place this November at their high school parish St Paul's Monastery. The reception will be held at Adelaide Town Hall. 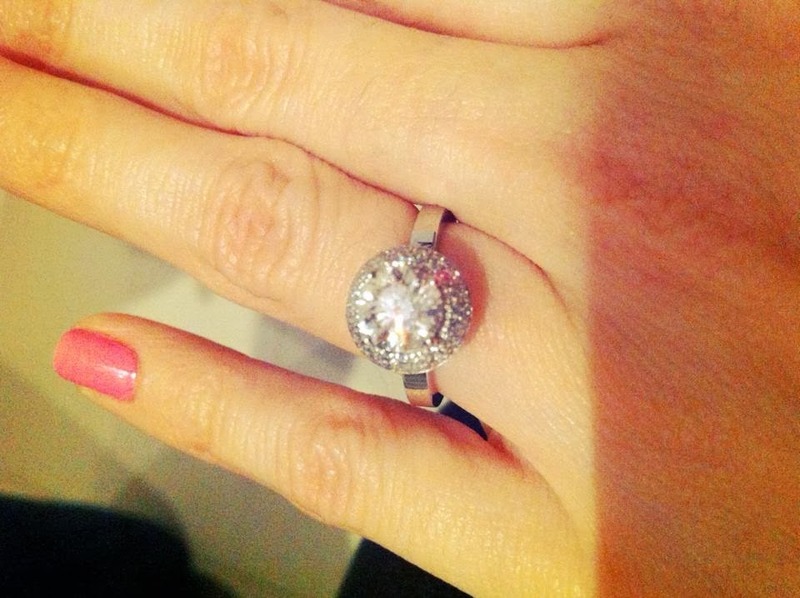 I'd have to agree with Peter when he said that this ring is just so pretty like Adriana. Let us know your thoughts.